An UK-based inventor by the name of Marting Myerscough has a very fresh idea which will change the coffee business for good. Okay, maybe not that radical, but it will reduce the waste by a lot and will save billions from ending up at the landfill. But what makes it so great? Let’s take a look and hope there will be less plastic and cardboard waste for Rubbish Begone, London rubbish removal company to deal with. Most of us who drink coffee on the road, namely takeaway coffee, are aware that it is mostly served in paper cups. What’s bad about that, you say? The bad thing is, the cups, as they are produced now, are too hard to dismantle and recycle, so they go straight to the landfills. Basically there is a plastic film bonded to the inside of the cup and the paper is chemically improved to hold your coffee inside without leaking. But the chemicals and plastic are making recycling very impractical and costly, since they need a specialized recycling facility to do that. What Green Your Cups offer are cups, made of cardboard which is absolutely chemical-free and a plastic film, which is held there with much less glue. I know, it doesn’t sound like much, but this will make the cups easily recyclable in the regular centres, without the need for special ones. Aside from that, the Green Your Cups can be broken down in 6 minutes, just like regular newspaper and this can be done up to 7 times with the same paper. Talk about cost effectiveness. They claim that the coffee cups can be put into the regular paper and cardboard recycling streams, aside from the plastic lid. They are trying to spark up interest in the bigger UK coffee chains right now. If they manage to do this, they can start mass-producing the cups as early as 2015. Who wouldn’t want that? Especially when office trash bins are brimming with paper cups and calling office clearance services to help. 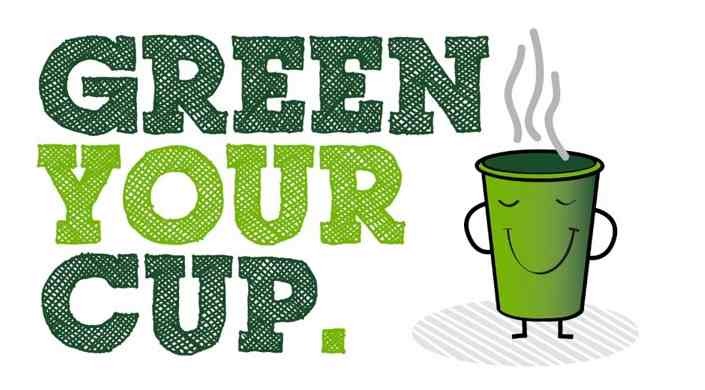 If you would like to learn more about the cups and the project as a whole, check their website – Green Your Cup. It has all the information you need and nifty guides on how the cups are made. Rubbish Begone wishes you happy reading and a pleasant weekend!